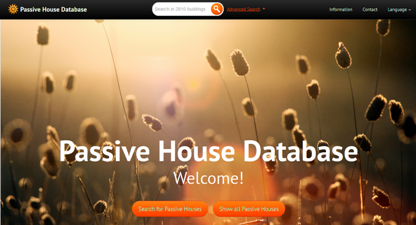 In order to add a project to the database or to register for the International Passive House Days, you must first register as a user. Click on “Project registration” and then “New registration”. Once you have completed your registration, you will receive an email with your password. Please understand that database entries are not anonymous. Your personal details, however, will only be used internally and will not be given to third parties. For help on entering your project, your may refer to the “Help – project entry” section in the user area. Once you have filled out and sent a project form, you will receive a project ID number, which you will need should you wish to sign up for the International Passive House Days. The project details will be checked and then put online. You may amend the information and add photos as long as the status in the form remains red. Once you give us the okay to publish your data, the status will turn yellow and you will then no longer be able to make changes on your own. Should you have questions, we would be happy to help.